With more than seven million inhabitants squeezed into one of the most densely packed places on the planet, it’s no surprise there are plenty of places to shop in Hong Kong. Almost half the city’s residents live in Kowloon and the district’s soaring skyscrapers hide a multitude of shopping centres and well-patronised backstreet stalls and malls. Once described as the world’s busiest shopping district, bustling Mong Kok is a shopper’s paradise, with entire streets dedicated to every possible product imaginable. Causeway Bay is equally enticing and offers everything from cheap street stalls to upscale luxury boutiques, while the aptly named Central is an exotic mix of Asian bazaars and towering, shop-filled skyscrapers. If Hong Kong’s hectic boulevards and thoroughfares can seem overwhelming, so too can the sheer range of items for sale in this citadel of commerce. Everything from humble goldfish to the finest haute couture is peddled on the peninsula, making it difficult to know where to start. 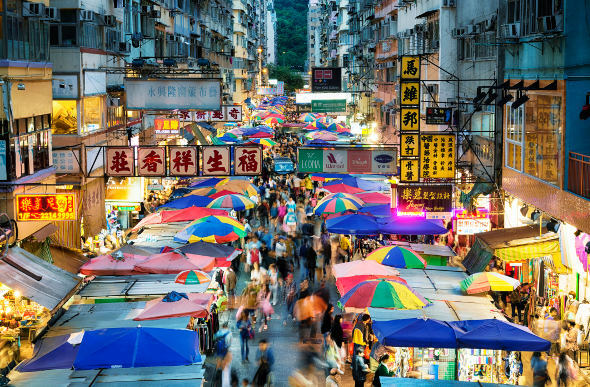 The key to Hong Kong shopping is to know what you want and where to find it – once you do, you’ll be dazzled by the range of products on offer. Electronics, computers, high-end fashion, jewellery and traditional Asian ornaments are specialities, so whether you’re shopping on a budget or willing to splash the cash, you’ll be sure to find what you’re looking for on Hong Kong’s heaving shelves. It’s no exaggeration that anything and everything can be bought in Hong Kong. It’s not uncommon to see street after street of live animals for sale, and the northern end of Tung Choi Street in Mong Kok is better known as Goldfish Street. The reason is obvious – if you can’t find a goldfish here, you won’t find one anywhere – though there’s more than live fish for sale in Hong Kong. 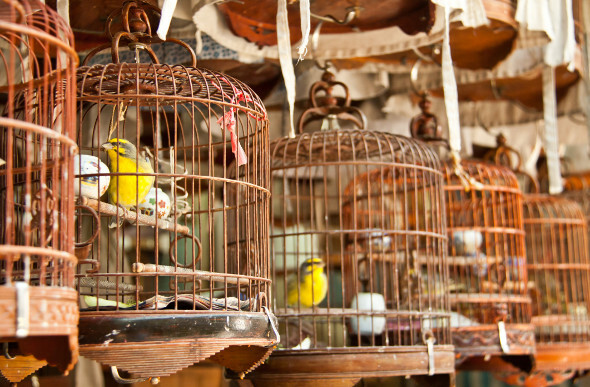 The Chinese-style Yuen Po Street Bird Garden maintains the old tradition of elderly hawkers selling picture-perfect songbirds, white snakes, frogs, lizards, insects and a host of other exotic fauna.